Imagine starting your day to the sounds of birds, the crystal water sparkling on the lake, green trees, clean, fresh country air. This is Your Body By Design country facility. Away from the hustle and rush of the city lights, set in the picturesque countryside of Clear Mountain, clients experience serenity, a time out, their retreat, to focus and concentrate on themselves. When life gives little time for space, to breathe.. there is peace. The studio is fully equipped with strength and weight training apparatus to contour, grow and shape our bodies complemented by outdoor activity to also nourish the soul. Each client follows their own unique program to support wherever they are in their journey towards vitality and energy. Each competing only to be their best. A fun set of group classes, mix it up and add variety and spice to get the blood pumping and are included in all programs. Over 30 years experience in training and developing people in their health and fitness goals, which goes a long way when you’re choosing someone you can rely on. "I love the different locations where Leanne sets up her exercise sessions. To think I can be sweating up a storm in amongst the gums trees with the kookaburras laughing in the background, or running up and down the concrete bleachers near the school grounds is just awesome. Love it!" "Leanne has totally impacted my life. Not only am I fitter as a result of the training I have done but she has helped me with eating principles and good habits. As a result of my experience I feel like a different person." Fully Qualified, with hundreds of success stories under her belt, Leanne’s own personal drive and motivation to live your best life, has seen her seek the highest quality and most effective methods currently available to enable her clients to see real results in their fitness, ability and overall health and wellbeing. Leanne is also a Senior Program Leader and Coach, working with global Leadership training organisation Landmark Worldwide, a provider of programs that produce breakthrough results for people in their levels of confidence, self esteem, the quality of their relationships, personal productivity and overall quality and enjoyment of their lives. 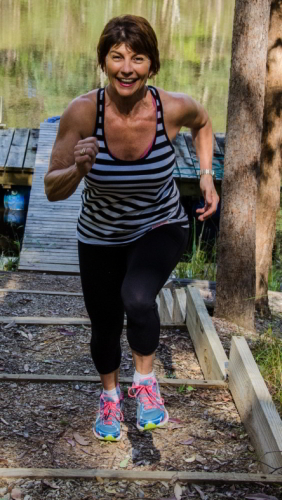 Leanne brings this level of training to her clients to support them through the challenges of making changes to their own lives, to ensure permanent and lasting results in the way they relate to themselves, as well as their health and fitness.